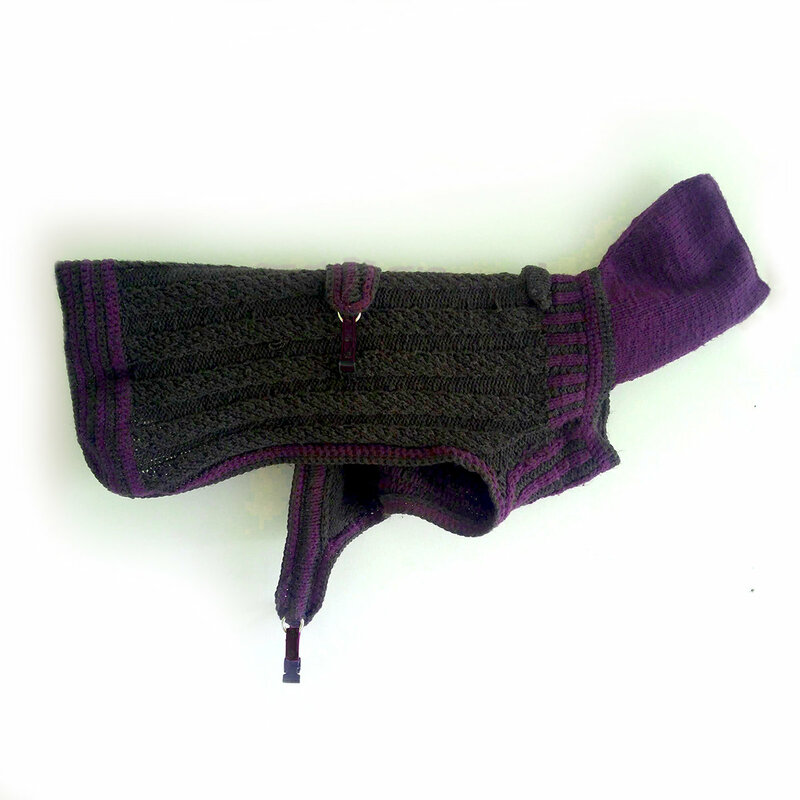 The Shredder Hoodie Sweater is hand-knit in soft, quality yarn with REAL wool and features a hood. 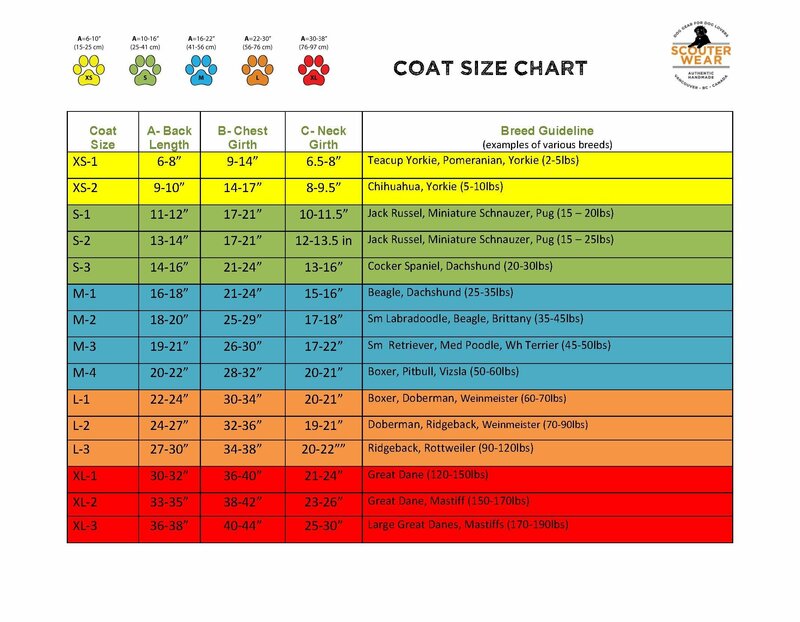 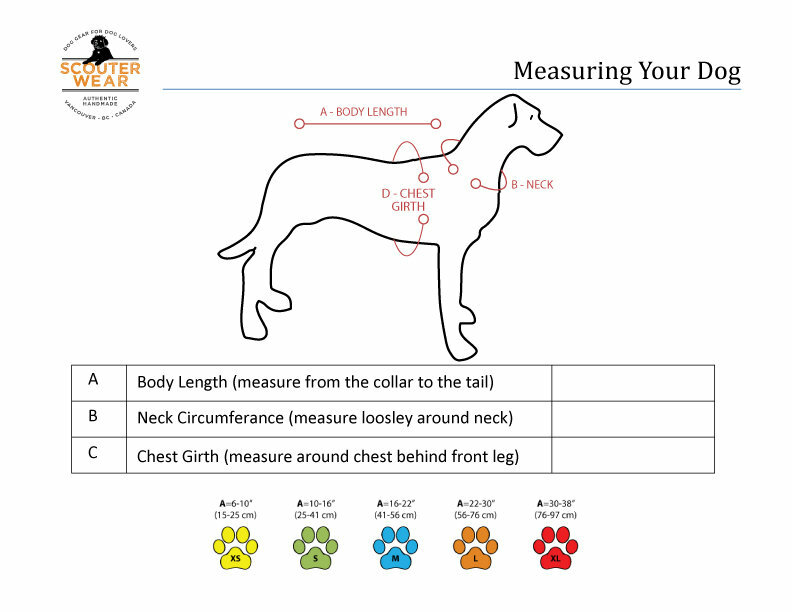 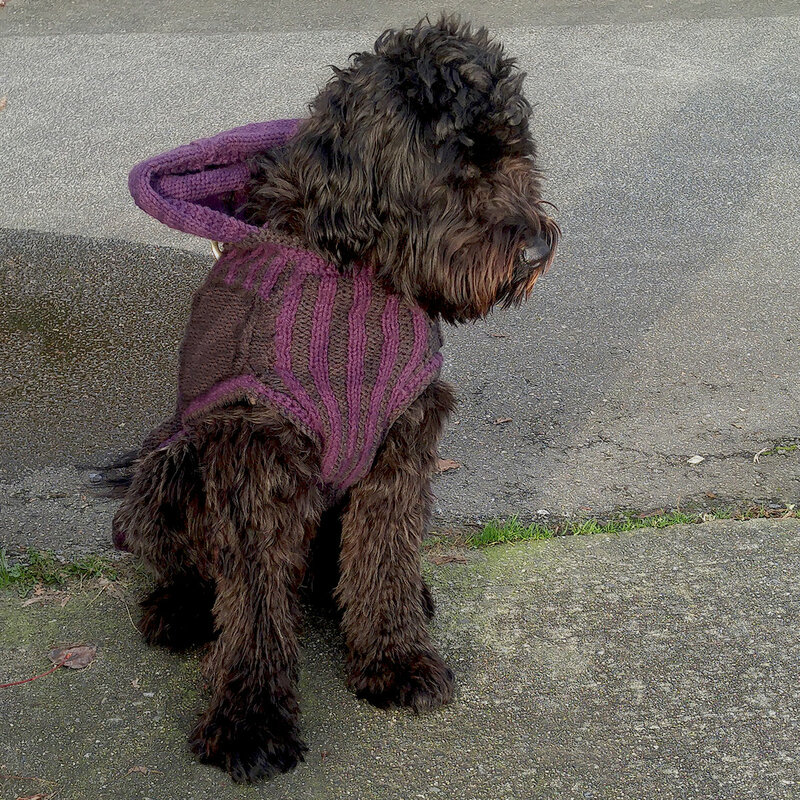 Your dog can wear it all year long on dry days or in light rain. 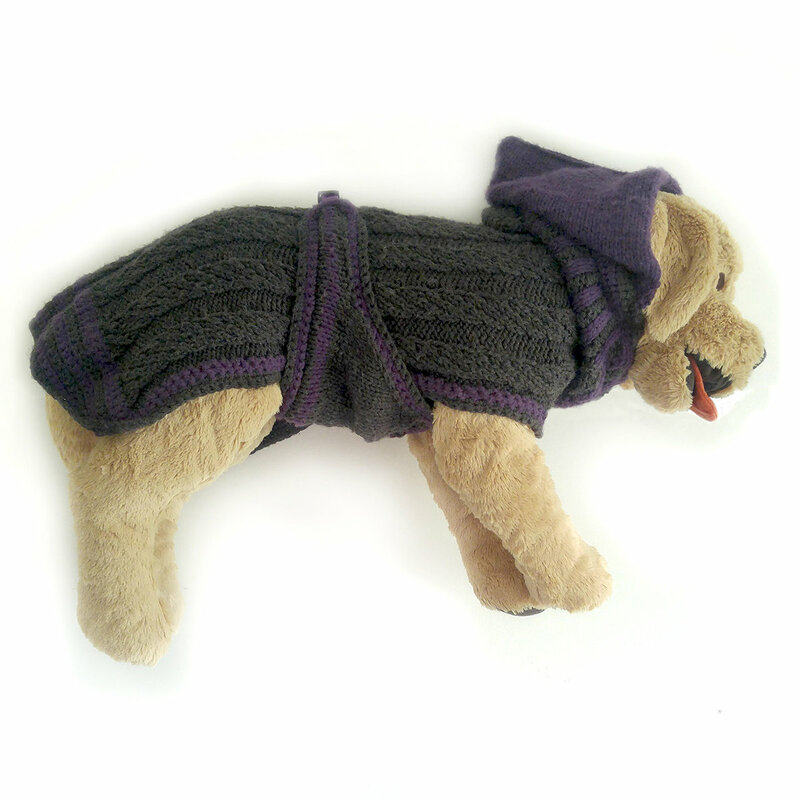 This sweater incorporates a Y-shaped tummy panel that goes between the dog’s front legs, wraps around the sides and up over the back to clip using the quick-clasp system on the back. 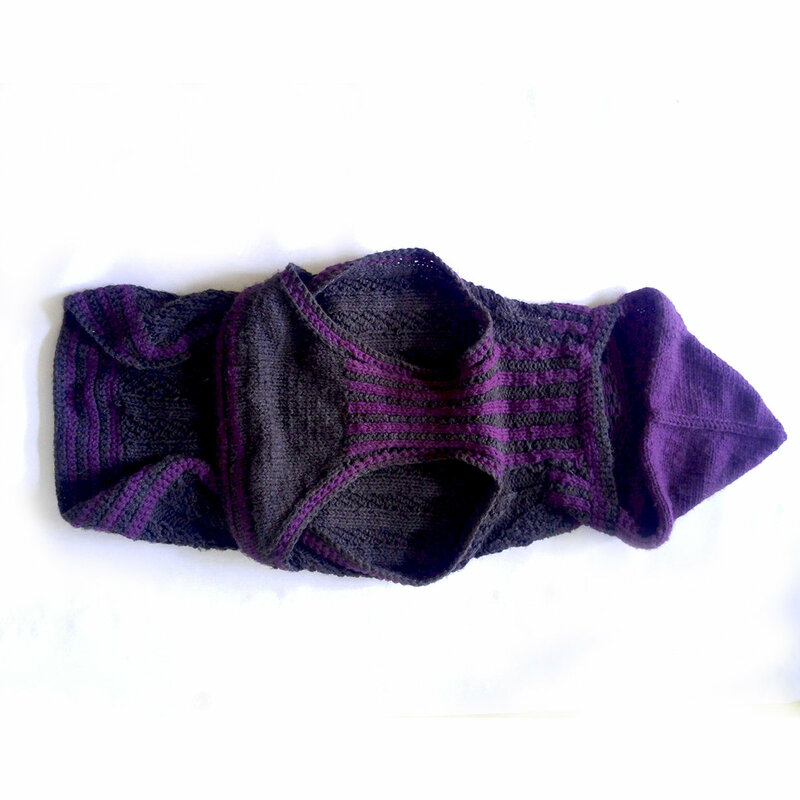 The Shredder Hoodie Sweater features a solid body with striped trim in 4 different colours and the hoodie offers added protection and a cool look. 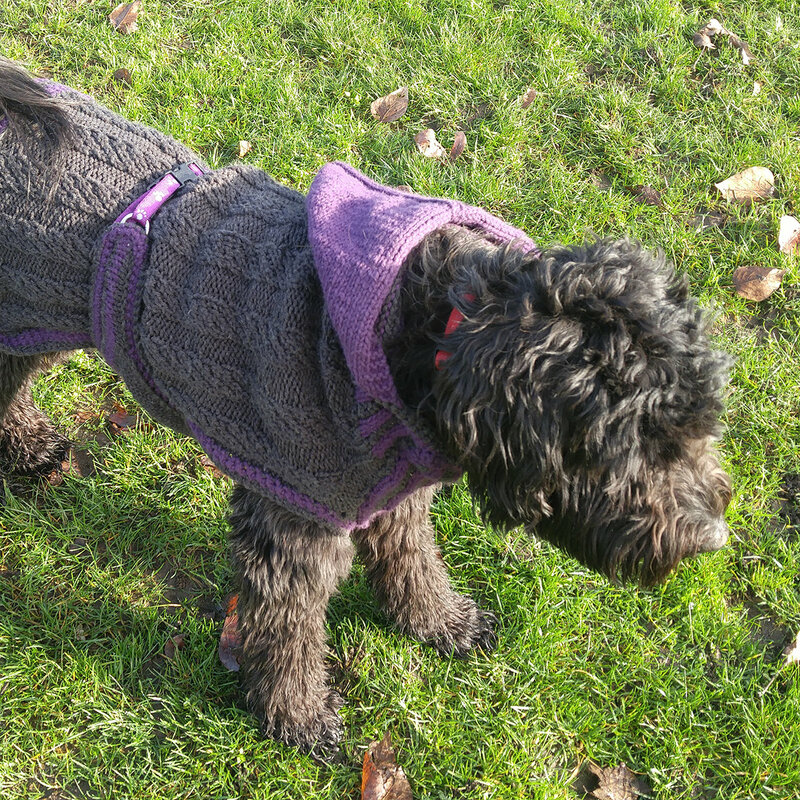 The wool protects the dog from moisture and dries quickly when wet.